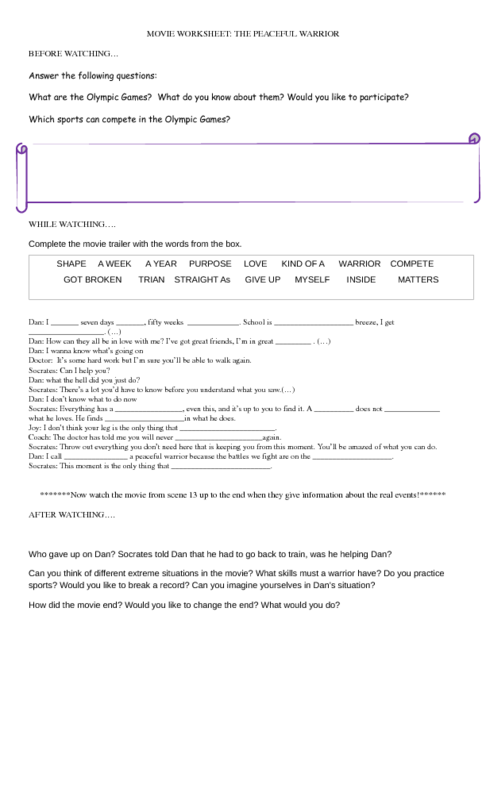 It's a worksheet based on the movie trailer for students to do a listening comprehension activity. Advanced or upper- intermediate level. Students have to listen to the trailer first to understand what the movie is about. Then, they will have to guess or predict which word goes in each space. Finally, they will check with the trailer if their answers were correct. After the trailer, there are questions to share with the class. My students loved the trailer! It's important to let them know this is a real story.